The new issue of ALA's Book Links magazine features my interview with and article about the new Young People's Poet Laureate, Jacqueline Woodson. What a pleasure to "chat" with her and dig deep into her work through the lens of poetry! Here are a few nuggets from the piece. 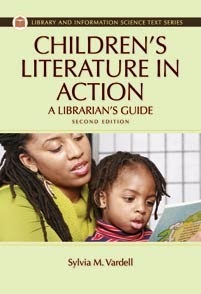 NOTE: Now the whole article is available online via Booklist's Quick Tips, so here's the link. 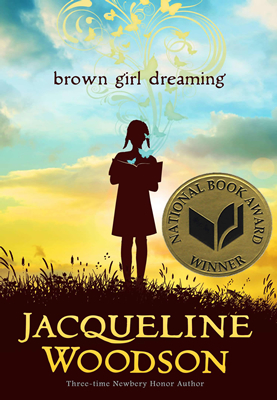 Jacqueline Woodson is the author of more than two dozen books for young readers, a four-time Newbery Honor winner, a recipient of the NAACP Image Award, a two-time Coretta Scott King Award winner and she was recently chosen to deliver the 2017 May Hill Arbuthnot Honor Lecture. Her work includes groundbreaking picture books, novels, and poetry, including the recent National Book Award winner, Brown Girl Dreaming, her memoir in verse. 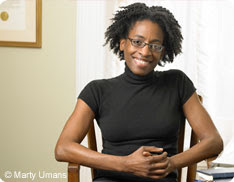 When she was named Young People’s Poet Laureate by the Poetry Foundation in 2015, some people may have been surprised that she was singled out as a POET, but an examination of her work reveals a consistently lyrical use of language, an intentional employment of line breaks and white space, and powerful imagery and intense emotion throughout all her writing. Here, she answers questions about the place of poetry in her life and work and about her plans to “raise awareness” about poetry as the Laureate. SV: Can you describe the role poetry played in your childhood? When and how did you first discover a love for reading or writing poetry, in particular? JW: My earliest memory of poetry is Mother Goose of course - my sister reciting various rhymes and my favorite as a child being about the old woman who lived in a shoe. I think I related to the tight living quarters and the tired mom. But somewhere between Mother Goose as a very young child and Langston Hughes as a much older one, I had a disconnect from poetry. Somehow I felt outside of it. I remember hearing Nikki Giovanni’s poetry on an album someone must have owned and thinking “Who and WHAT is that?” but still not making the connection between what Nikki was doing and poetry. When I heard Langston Hughes’ poem “Dream Variations” back in the early 70s, it was a wrap - I got it! I just got it on so many levels — levels that connected Hughes to Giovanni to Lorde to the Grimké sisters, to Eloise Greenfield — I was on my way. 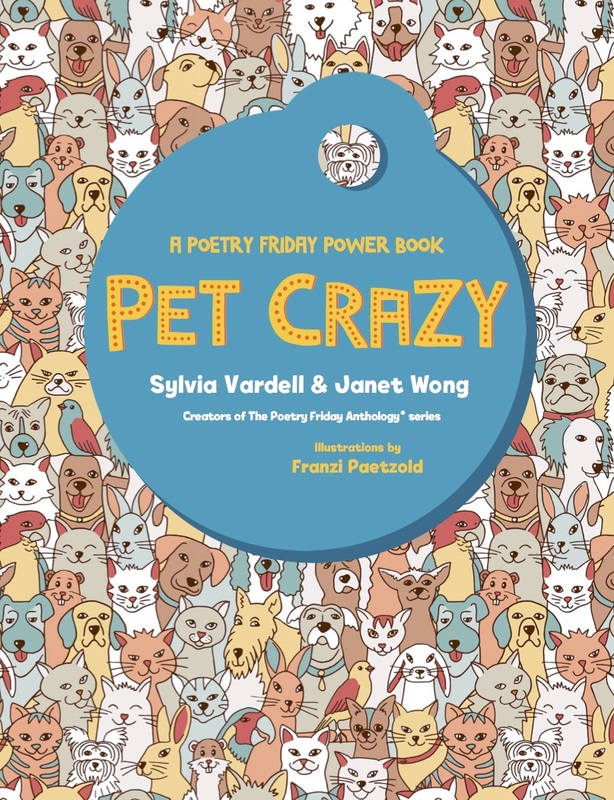 SV: How would you say your poetry has evolved? What kinds of surprises have you discovered along the way? JW: I’ve discovered that I’m not as afraid of poetry as I once was and I’m not afraid to put my work out there and call it poetry — without excuses. I think I struggled with Imposter Syndrome for a long time - thinking my work was poetic but not necessarily poetry. My writing has definitely gotten better over the years — I mean, I *have* been practicing! I’ve discovered how vast the world of poetry is and how much of it I missed as a child. I find myself trying to read as much poetry as I can as slowly as I can as a way to study the poets who’ve come before me. Right now, I’m revisiting CITIZEN by Claudia Rankine. It’s phenomenal. 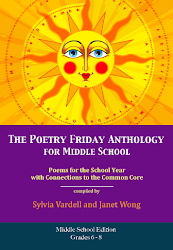 SV: What else would you like to explore in creating poetry for young people? JW: Everything! I want to do everything! I want to go where people haven’t gone before, create new ways of telling stories, open doors to the historically invisible and silent storytellers and poets in our country, put the voices of young people out into the world, visit places where kids think they’ve never met a ‘real’ writer and hold up a mirror for them. It would be amazing to bring poetry to every state as YPPL. 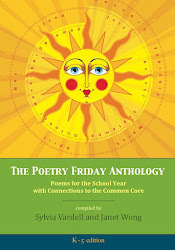 To walk into classrooms and get young people to believe they have a story, a poem, a voice. 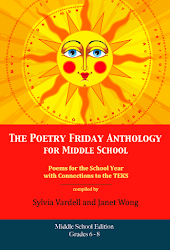 SV: What advice do you have for young people about writing poetry, in particular? JW: Read poetry. Write poetry. #Noexcuse. 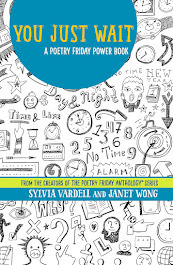 SV: As the current Young People’s Poet Laureate, what are your hopes for the future of poetry for young people? JW: Oh man, I would SO love for young people to read lots and lots of poetry. I would love for them to see and recognize poetry everywhere in their lives, to talk about the poets they love and the ones they don’t, to write songs and spit lyrics and make chapbooks. I would love, love for Social Justice to be a HUGE part of what young people are writing and talking about one day. I’d love for poetry to cross lines so that poets can look up and see a whole lot of young folks in their audience and young people can look up and see more than parents and teachers coming to hear them write about changing the world. 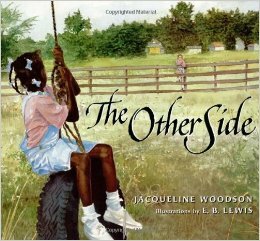 And there is more Q & A in the article, but now we'll turn to teaching activities and strategies based on Woodson's work. If you check out the “Poetry” link on Jacqueline Woodson’s website, you’ll see that she focuses on the many ways poetry is infused throughout her writing. 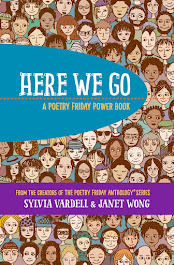 She shares excerpts that help illustrate the ideas that poetry can be memoir, fiction, in the form of a picture book, sharing history, or building empathy. Let’s consider each of these areas and how we can build learning activities for young people. In an interview in School Library Journal, Jacqueline Woodson noted, “My picture books are long poems really—I decide where the lines break and the flow of the story.” Read aloud and show the text of her picture book, The Other Side. After encouraging the students to respond to the story (and the friendship that transcends race), talk about how the words are arranged on the page, particularly in contrast with the usual format for text in picture books. Look at how the line breaks make the reader pause, adding weight to the thoughts expressed. Consider how they fit with the illustrations on the page. Show how it feels when you read the lines and sentences as if they were continuous narrative, then counter by pausing at the end of each line break as written. 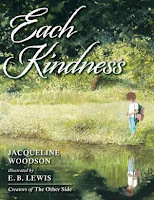 Examine some of Woodson’s other picture books to see how she arranges words, lines, phrases, and sentences in them: This is the Rope; Each Kindness; Pecan Pie Baby; Coming On Home Soon; We Had a Picnic This Sunday Past; Sweet, Sweet Memory, Our Gracie Aunt; Visiting Day; Show Way. 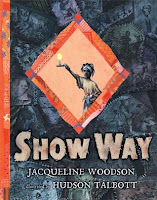 Woodson traces her family’s roots in the beautiful picture book, Show Way, a Newbery honor book. 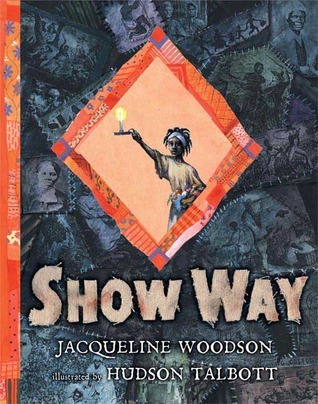 After reading the book aloud, talk with students about the stories of each generation portrayed in the book, particularly the power of making quilts to show the path to freedom and literacy. Then focus on the story’s text and how each page and poem works together to “quilt” the story’s narrative. Woodson uses the free verse poem form with distinctive line breaks to make the reader pause and think about each scene, letting the “history” breathe a bit. This can serve as a springboard for students to interview a family member about his/her past, then take their notes and develop a free verse poem, and illustrate the scene in some way (with a drawing or old photograph, for example). I imagine that all authors strive to reach readers’ minds as well as hearts, but I believe poets are particularly adept at moving us with their words—and with very few words, too. That’s one reason we often share a poem at a graduation, wedding, or other celebrations. Poems convey deep emotions that we struggle to express on our own and help us connect with one another in very personal ways. 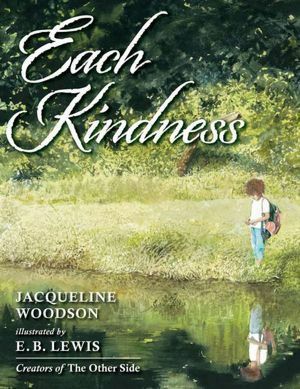 Read aloud Woodson’s picture book, Each Kindness, and talk with children about the story and its challenge to be kinder to one another. If possible, bring a large bowl filled with water and a small stone and reenact the teacher’s exercise with each person dropping the stone into the water while describing an act of kindness they have carried out. 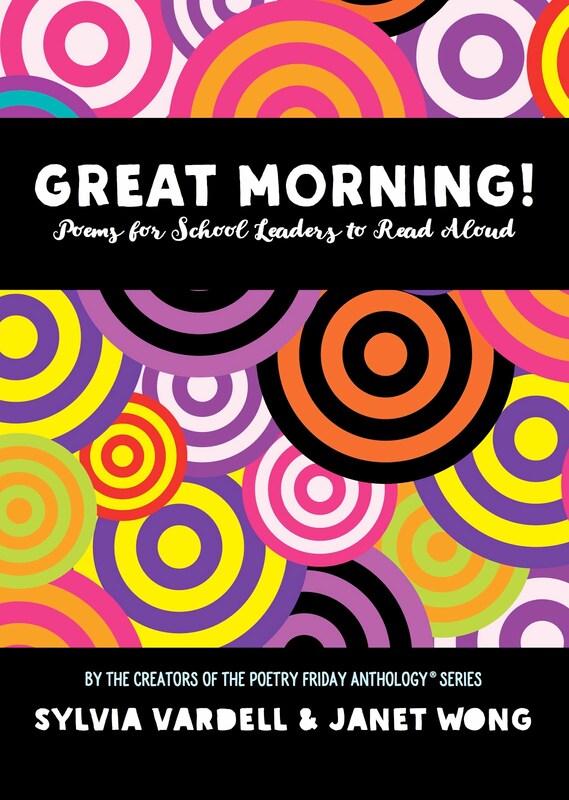 Then challenge students to find a poem or story excerpt that makes them feel deeply and invite them to share it with the group. 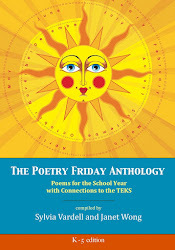 Consider sharing poetry books by some of Woodson’s poet influences such as Honey, I Love by Eloise Greenfield, The Dream Keeper by Langston Hughes, Hip Hop Speaks to Children collected by Nikki Giovanni or Amazing Faces edited by Lee Bennett Hopkins, Lend a Hand by John Frank, This Place I Know: Poems of Comfort edited by Georgia Heard or What the Heart Knows: Chants, Charms & Blessings by Joyce Sidman. The Book Links article matches each of these activities to appropriate Common Core State Standards (CCSS) and provides a complete bibliography too. FYI. I have spent the last 10 days on the island of Guam and what an experience it has been! This opportunity arose when I attended the International Literacy Association conference in St. Louis last July and one of the members of the audience at my presentation stepped up to help us with our technology, introduced herself, and then afterward, invited me to come to Guam to speak! Thank you, Geri Charfauros! And thank you, Evangeline Chaco (ILA/IRA chapter President) and Jennifer Berry (author visit coordinator) for ALL your work, time, arrangements, and hospitality! What did I find? An audience of eager students, kind and respectful, most of them already steeped in poetry! What a treat! They had created huge "welcome" signs and often posted their own poetry on the walls. They welcomed me with a lei (of shells, pods, seeds, flowers or even coral), provided refreshments, presented honorary certificates, and always gave me a lovely gift bag of treats from their schools or the island. As I said many times, I felt like a movie star! "Underwear Scare" by Terry Webb Harshman-- I started by projecting a giant image of a pair of underwear and invited them all to join in the line, "You're in your underwear," using a giant sign with the words written on it! They loved "Selfie" by Lorie Ann Grover too and we took many selfie photos together, of course! I HAD to share "St. Patrick's Day" by Esther Hershenhorn-- since it was THIS WEEK-- with everyone chiming in on the word GREEN and "World Water Day" by George Ella Lyon-- since that is NEXT WEEK-- with everyone chiming in on the word WATER when I lifted my water bottle. "Something I Did" and "The Do Kind" by Janet Wong were very powerful and helped students see how thoughtful and quiet a poem could be to get us thinking about how we treat people. "I Sit on My Bottom" by Michael Salinger and " Let's Go" by Merry Bradshaw and "Recess" by Avis Harley-- they LOVED pointing and jumping and leaning and moving! We performed FOOD poems as they said SPAGHETTI when I shared "Ready for Spaghetti" by Carrie Finison and "Waffles Waffles Waffles" by Alan Wolf. 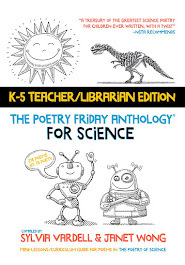 They enjoyed pet poems with "All Worn Out" by Kristy Dempsey and science poems with "Testing My Magnet" by Julie Larios (they loved yelling YES or NO) as well as the fun alliteration of "What is a Foot" by Jane Yolen. The preschool kids also loved "Buttons" by Penny Parker Klostermann as we pointed to all the buttons on our clothes and "Baby Tooth" by Amy Ludwig VanDerwater as they showed me their gap-toothed smiles! The teens were very engaged by "He Was So Little" by David L. Harrison (you could have heard a pin drop) and "The Fear Factor" by Sara Holbrook as they chanted the word "Okay" together as I read the rest of the poem-- as well as "Dracula" by Carmen T. Bernier-Grand where they performed the "Shhhh...." in the poem while I read the rest. 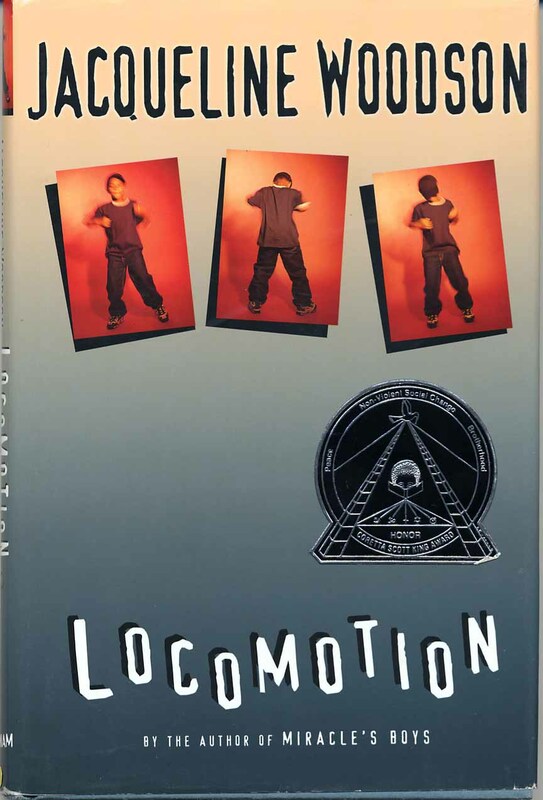 They were blown away by "The Bully" by Guadalupe Garcia McCall (one student responded, "That's messed up!") and could totally relate to "Who Am I?" by Margarita Engle since we have an island full of Chamorro (native), Filipino, Korean, Japanese, Chinese, and other islanders all mixed together here. 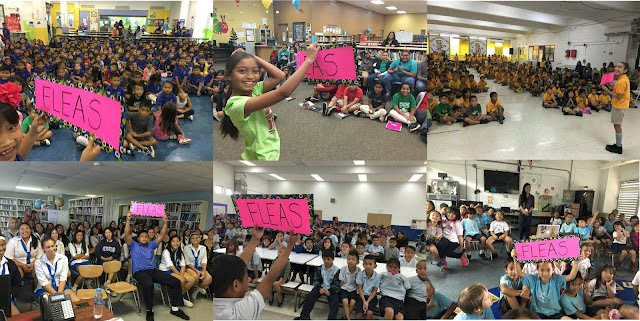 "Future Hoopsters" by Avis Harley surprised them with its acrostic form and "How Romantic Can You Get" by George Ella Lyon made them all smile shyly while "Advice to Rapunzel" by Eileen Spinelli made them grin! And they loved the gross-out factor of "Eviscerate" by Michael Salinger. And we filled the room with sound in echo-reading "STOP! Let's Read" by Kristy Dempsey and "How to Love Your Little Corner of the World" by Eileen Spinelli. Plus, we SANG "Sack Lunch" by Charles Waters to the tune of "Row, Row, Row, Your Boat!" My big finish was leading them in "Photo Op" by Linda Sue Park with the whole audience yelling "FLEAS" as I took their photo with my camera! SO FUN! It was particularly perfect since we nearly always took an organized photo of me and the group at each school, so they were used to getting their pictures taken a lot. Now all the kids all over Guam say "FLEAS" when they get their pictures taken instead of "CHEESE!" Thanks, Linda Sue! I'm probably forgetting a few other gems, but in one hour, I could only share a handful of poems. 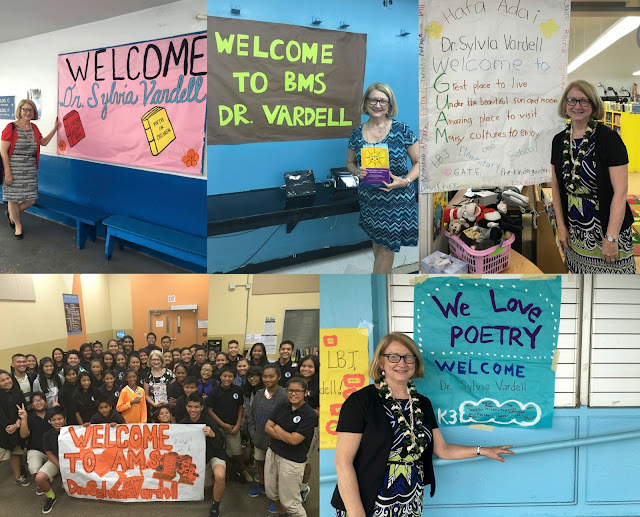 And I wanted to show them how much variety of form, feeling, and content they could find in poetry-- something for everyone-- and I hope inspire them to try to write poetry too. It was so lovely to see their responses, hear their questions, get their hugs, and feel this connection through the spoken and written word. What a pleasure and an honor. 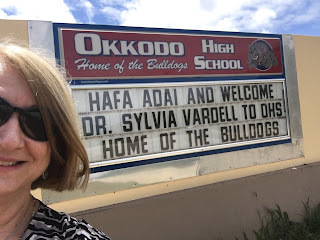 It was so fun to get to work directly with children and young adults in this way and be reminded of how things are still unfolding for them-- how open they can be-- and how much WE can learn from THEM! 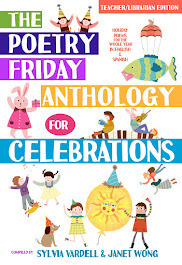 Now head on over to Robyn's place, Life on the Deckle Edge, for more Poetry Friday goodness!